9 + = fifteen Required Please enter the correct value. 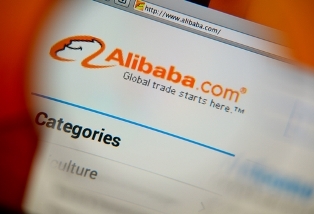 Dow Futures, September 16, 2014: On Monday, markets remained highly anticipative of Chinese e-com giant Alibaba Group Holding Ltd.'s initial public offering, slated for this week. But the news isn't all rosy for investors around the world. Dow Jones futures are down 29 points today. According to Bloomberg, Chinese residents are angry that they lack the financial resources or qualifications to invest in Alibaba stock. Even though Chinese consumers are the primary drivers of Alibaba's success, many are unable to invest and profit from the Alibaba IPO scheduled for Sept. 19. The backlash is reminiscent of Facebook Inc.'s (Nasdaq: FB) initial public offering in 2012, when many analysts and investors called for users of the social network to see some potential to profit from the company they built, one user at a time. Monday also marked the sixth anniversary of investment giant Lehman Brothers' collapse. The fall of the Wall Street titan set off a chain reaction that froze global credit markets, led to a massive slump for global markets and high volatility, and forced the U.S. Congress to introduce a taxpayer funded bailout for bankers around the world. Since the collapse, not one person has been criminally prosecuted for any actions, although a number of banks have recently agreed to multibillion-dollar settlements with the U.S. Department of Justice and other regulators over their roles in selling, packaging, or distributing faulty mortgage securities. Merger Mania: One day after SABMiller Plc. (OTCMKTS ADR: SBMRY) said it approached Dutch rival Heineken NV (OTCMKTS ADR: HINKY) about a potential takeover, the real reason for its initial bid hit the wires. As expected, SABMiller is attempting to ward off a takeover plan by its chief rival Anheuser-Busch InBev (NYSE ADR: BUD). According to The Wall Street Journal, Anheuser approached several banks about financing an acquisition that could potentially be worth $122 billion for SABMiller, which would make it the largest global beer company by far. Shares of SABMiller were up 8.5% yesterday. In addition, shares of Molson Coors Brewing Co. (NYSE: TAP) were up more than 5.5% on the deal's speculation. SABMiller's stake in its Molson Coors U.S. junior venture would likely be sold to appease antitrust concerns of U.S. regulators. The IPO of the Year: Ahead of its massive IPO next week, Alibaba Group Holding Ltd. (NYSE: BABA) executives said they have raised the range of the public offering to a range of $66 to $68 per share, as the firm responds to strong investor demand. The announcement means that the e-commerce giant's IPO could raise up to $25 billion, making it the largest debut of a public company in market history. Despite owning 22.4% of Alibaba, shares of Yahoo! Inc. (Nasdaq: YHOO) slipped yesterday, ahead of the Sept. 19 debut. Over the weekend, Alibaba executives admitted that the firm chose the New York Stock Exchange as the destination for its U.S.-based listing over the Nasdaq due to concerns about the latter's problems during the IPO of Facebook Inc. (Nasdaq: FB).